If you’ve been following this January series, you may have thought “wow, Molly really hates to work out!” and you would be correct. I really do. But for me, the least agonizing exercise is done in the class setting. Zumba, pilates, yoga, that stuff I can handle and might actually enjoy. 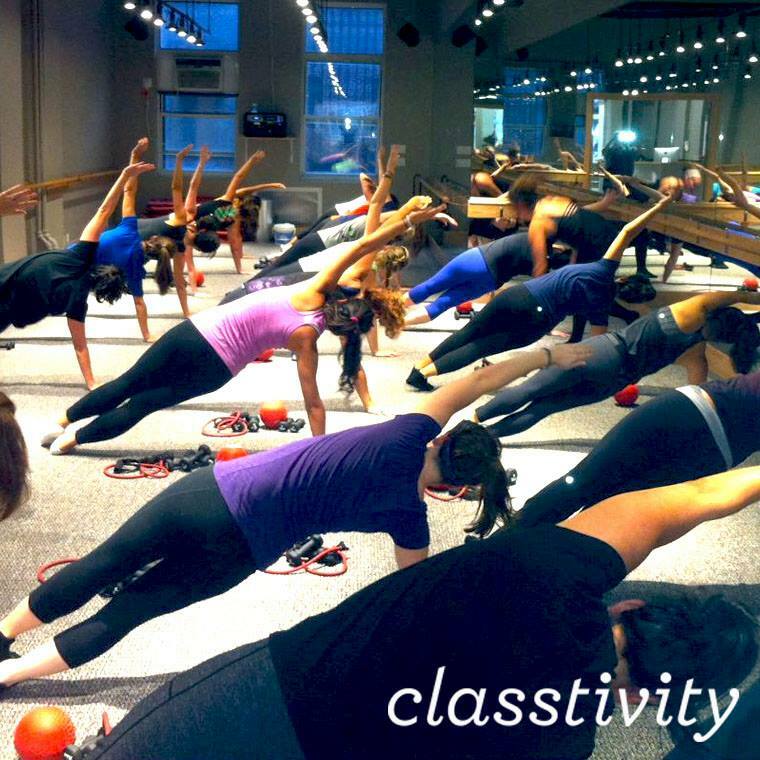 Classtivity is your go-to database of fitness classes. As I’m writing this (in late December) there are over 7,000 classes listed for the week. Seven Thousand! If you can’t find what you’re looking for there, then you REALLY don’t want to work out (are you me?) You can search by location, class type, time of day, and most importantly for the purpose of this blog – price. The best parts about Classtivity – the Passport and the ClassPass – are coming soon to the Boston market. With the Passport, you can try 10 different classes at participating fitness studios for $49. This is a fantastic way to find out what class style fits for you. Spinning, barre, bootcamps, etc. Think of it as a tasting sampler. The ClassPass is a membership program that gives you access to an exclusive network of studios and gyms. Want to take a pilates class at one gym but yoga at another? There’s no need to pay for memberships at both if you have the ClassPass. I spoke with Classtivity co-founder Mary Biggins about the site. Originally from the Boston area, she is very excited for the upcoming expansion into the area. We know that the gym is not engaging — almost 70% of people with a gym membership don’t show up in a typical month. Going to fitness classes is significantly more engaging and motivating — and our user’s behavior shows that! Over 90% of Classtivity ClassPass holders work out in a typical month — many of them more than 2 times per week! While the Passport and ClassPass are not in Boston yet, we are working on our geographic expansion plans and hope to be there soon! For now, a lot of the classes listed require a gym membership but there are enough that are open to the public to make Classtivity a really valuable resource. And when the Passport and ClassPass come to the area, it’s going to be aaawesoooome.